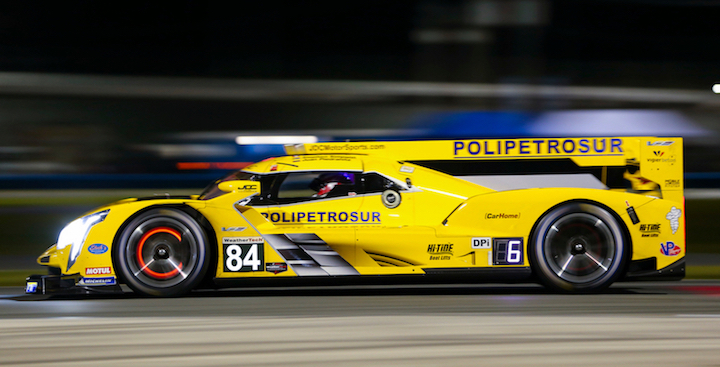 The four Cadillac DPi-V.R teams competing in this weekend’s 2019 Rolex 24 at Daytona are ready for the challenge the annual endurance race presents. A total of six Cadillac DPi-V.Rs will run full season campaigns in the IMSA WeatherTech Sportscar Challenge and in the Rolex 24 at Daytona this year. Action Express and JDC Miller Motorsports will field two entries a piece, while Wayne Taylor Racing and Juncos Racing will run single car campaigns. Wayne Taylor Racing by far has the strongest driver lineup for Daytona, with ex-Formula 1 drivers Fernando Alonso and Kamui Kobayashi joining full-season drivers Jordan Taylor and Renger van de Zander in the No. 10 Konica Minolta-sponsored Cadillac prototype. Having Alonso in the car for Daytona is no doubt a big deal for the racing department at General Motors. The driver lineups at Action Express are strong, too, though with Felipe Nasr and Pipo Derani among the team’s hotshoes for 2019. Alonso and Kobayashi’s Toyota LMP1 teammate Mike Conway will also race for Action Express at Daytona. The JDC Miller squad returns with a familiar driver lineup. Most notably, ex-Formula 1 driver Rubens Barrichello will race in the No.85 car for Daytona. Finally, Juncos Racing, which is new to the IMSA series but has experience in both IndyCar and IndyLights, will run American IndyCar driver Kyle Kaiser, along with former IndyLights driver Will Owen. One of its part-time drivers for Daytona, Agustin Canapino, was quick at the Roar Before the 24 test as well, turning in a lap just half a second behind the pit stall qualifying pole time. Be sure to download Andy Blackmore Design’s IMSA Spotter Guide at this link ahead of this weekend’s Rolex 24 at Daytona so you can easily identify the new Cadillac prototypes, along with other cars and drivers that may be new to the series.